Most people either love or hate these colorful birds. Learn why. 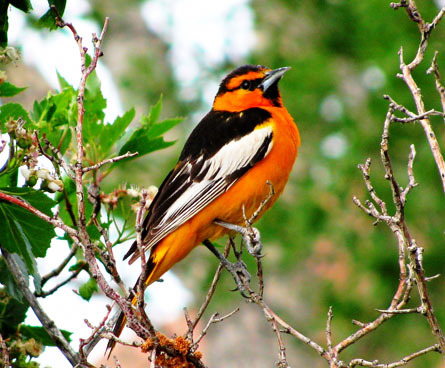 Often you will hear orioles before you see them since both male and female Baltimore Orioles like to sing. Bullock's and Baltimore Orioles make unique hanging nests high in trees. 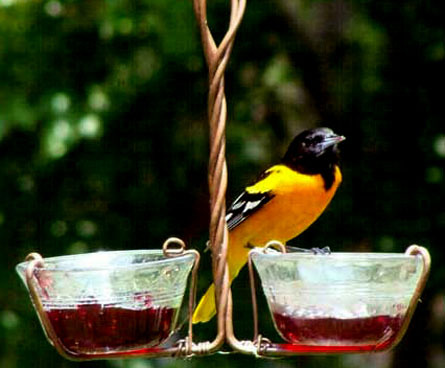 Sometimes picky eaters, orioles may ignore apples in favor of deeper-colored berries at a feeder (or insects). 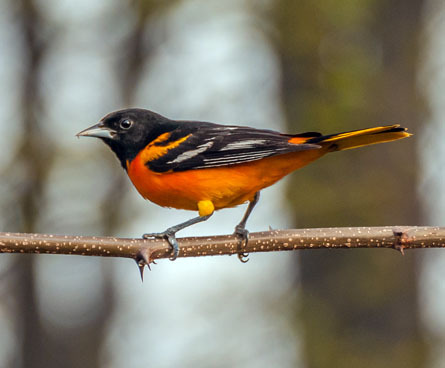 The two most common orioles are the Bullock's and Baltimore Orioles. 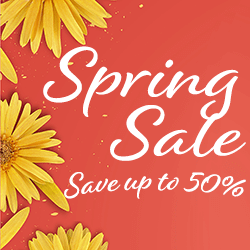 One or both of these colorful orioles can be found in most of the United States but their coloring is different and once you know what you are looking for, it's easy to tell the difference. 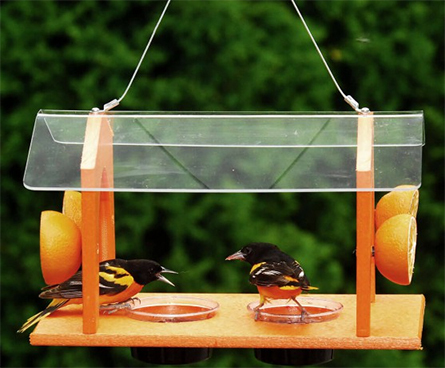 Whether you want to attract Bullock's Orioles or Baltimore Oriole birds, you'll find they both like the same things: bushes with fruit or berries, grape jelly feeders or orange fruit feeders. 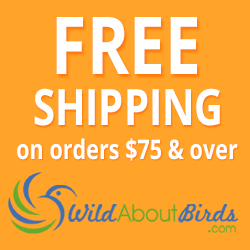 Whether you plant a bush or hang up a feeder, attracting these striking birds is worth the effort!